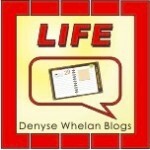 Denyse is A 'Baby Boomer' Who Blogs. 2017.120. 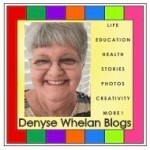 Denyse is A ‘Baby Boomer’ Who Blogs. 2017.120. 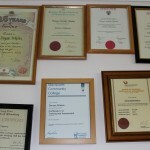 My Degrees and Qualifications in Education. In 2010, at 61, I started this blog. It was after I had retired (again) from a part-time teaching role in a K-6 school as an English as A Second Language Teacher. I was ready to be at home with my similarly-aged husband and to help care for some young grandchildren through the week. I wanted to share my knowledge, skills and passions from education and living life in the senior years with an on-line readership. It was important for me to connect as I no longer had a social group outside of home once I stopped work. Twitter, back then, was a great place for conversations and ‘meeting’ people and as @denwise1 I loved it. I made REAL friends from this and as a commenter back then, on a great new site called mamamia, I got a clue that my writing of my life experiences may resonate to help others. The Facebook page for this blog is here. 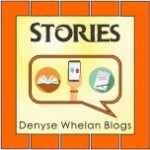 I have conversations on Facebook as Denyse Whelan Blogs. Over 65 Sharing Stories About Life. Denyse – post cancer surgery – Sept 2017. Some history of blogging from me and about Australian blogging too. In 2011 I went to the first Australian Blogging Conference, held in Sydney, and called Aussie Bloggers. Later in that year I went to 2 other blogging events. I met so many bloggers who remain on the top of my list of blogs now and they have gone on to make businesses of their blogging: Mrs Woog from Woogsworld, Beth from Baby Mac, Nikki from Styling You, and writers/journalists such as Rick Morton, Donna Webeck, Bianca Wordley, Megan Blandford, Eden Riley and Lisa Mclean. Later at a book launch for Kerri Sackville, I met Lana Hirschowitz, Chantelle Ellem, Kylie Ladd and many more. In my life as an educator I could never have met people such as these and so my world was widened as a result of blogging. In fact, in 2012 I was selected to Tell My Story at the Digital Parents Conference. The story has evolved somewhat since then, but the esssence of wanting to connect remains. Why three blogs did not work for me. I was pumped in 2012 to mid- 2014 and wanted to be my usual enthusiastic and sharing self. I knew I had skills and knowledge AND experience for families with kids starting school and already at school. Families were letting me know at the meetings I held in pre schools that this was so helpful for them. I knew from my University teaching days interacting with pre-service K-6 teachers I had information and help for their future careers that they told me was great. I also knew I loved sharing both my life, and to an extent my family and back then grandchildren were not exempted by me or their parents. 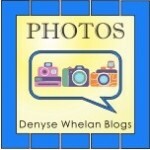 So the 3 blogs! Ready Set School was one. Ready Set Teach was the second. Denyse Whelan was the third. Was I busy? Heck yes. Did I have quality content? I thought so but as someone once told me, maybe much of what I wrote about would already be on MUCH bigger sites than mine such as kid spot. It was disappointing that the follow-through promised by the young teachers did not come through either. I had professionally designed and set up blogs, I had a newsletter each month, and I tweeted and facebooked for each blog. It turned out for MUCH more effort and little or no return. I attended Pro Blogger and other conferences. I commented on many people’s blogs and I joined in every.single.link.up. that was relevant. When I began one blog, found new readers and got my own link-up. With the interruptions of life for this now 67 year old called: selling a house, renting in a new area to your ‘home’, resigning and retiring from ALL paid work in education, becoming unwell with stress-based illness including IBS, leaving the family we love behind…I KNEW even back in late 2014 as all this was unfolding that I would need to connection and SOMETHING to do each day of my new life. Back to the one blog along with each and every day and writing as if my life depended on it. It actually did on some days in early 2015 when I was so sad and broken that the ONLY thing to choose to do was to blog. I wrote a daily blog post from 1 January 2015 until sometime in November 2016 when it no longer seemed relevant to ‘post daily’. In fact it was freeing and the job of the blog connecting me to more people had been a success via Link Ups. Why I want to reach more readers who are ‘baby boomers’. I love connecting with my current audience of readers, many of whom are also bloggers. These people are in the thirties and forties and I can relate to their lives from my long ago experiences ( I guess) and from what I see happening in my own children’s and grandchildren’s lives. I also connect with those who are blogging about entering the middle years. Those from the over fifties and up. I like what I read there too but still, I have moved past this age as well. What to do? I am not one to sit and wait nor to give up an idea so what I am going to do is post on another day each week about life as someone in the ‘over 65s’ group. 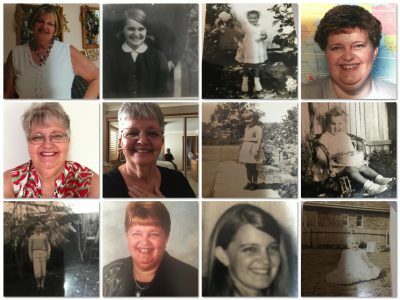 Born in 1949 I am a Baby Boomer and this is but one collage from babyhood to this year. Before my mouth cancer surgery. There is much to say. There may not be a large audience to read nor share but maybe I am calling that prematurely. I am hoping that bloggers who are already part of the link up each Thursday with Leanne here might have some advice after reading this introduction as a linked post. I would be happy to hear what people (over the age or under it) are interested in reading more about. 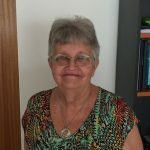 I do have a lot to add to society and conversations here from an Australian Baby Boomer Blogger (that’s me!) may be the ideal way to do this. I hope that this post has made some sense and that you may have some advice for me too. Joining with Kylie for I Blog On Tuesdays here and with Leanne for Lovin’ Life linky here on Thursdays. My thoughts would be about if people in their 60s tend to host their own blogs or engage on bigger blogs that give them a platform. Have you thought about guest writing for the over 60s blogs? That could help you engage with people your age easier. 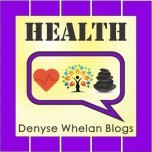 I have followed this blog for a few years now and you are an amazing woman Denyse. Keep up your awesome enthusiasm and energy and I hope you attract all the baby boomers who just need another voice to listen to. 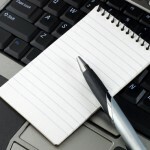 I think the suggestion of guest blogging is a good one. I know the people at Over 60 are always looking for guest contributions, worth a try? Sure, send me an email and let me know your thoughts. I read quite a few blogs by people around my age or a little older – 50s and 60s and I enjoy reading about things like how people cope with retirement and keeping an active social life and busy mind when they retire. I wonder about any forums or linkups for baby boomer age groups Denyse. I’ll keep an eye out! I can’t believe you had three blogs on the go, I struggle to keep up with one! I think what you have here is a real niche and very “you-nique.” I wish I had an answer for you on the baby boomers – maybe guest posting on other over 60’s blogs/websites? Or finding, or even starting a blog for the over 60’s? I am sure there are many others who also would love to share their stories. I guess you need to find where the over 60s go on the internet. Are there forums, facebook pages or somewhere else where they congregate? Thank you Ingrid, there are place on-line which comprise huge groups of ‘Baby Boomers’ almost all based in USofA! I have some commercial type on-line sites where I could ask to contribute too. However, as the week has gone on, I am happy enough to write posts here from my life experiences and link them up now as I do and to offer guest posts. I thought about a FB group but seriously do not want to have the responsibilities as an admin. More than anything, this post has given me greater confidence to USE this voice of mine more! Your voice is a great one for your generation – & ours too. My husband was born in 1961, so right at the end of the baby boomers, and I’m a Gen X’er. There seems to be more of us Gen X’ers in our late 40s and 50s, but blogs are a great way for everyone to find a tribe & a voice. My mother (who is a very fit 75) would be great at a blog – albeit it would be opinionated – but they don’t even have the internet. I wish that I’d read this post before I got on the bus this morning – so that I could show her just what can come from a blog & an online community. Oh Jo, thank you. I do like being part of the various demographics here and elsewhere but I guess I was/am wanting to say more. I think, as I have said to others I will continue to write here about all kinds of things. 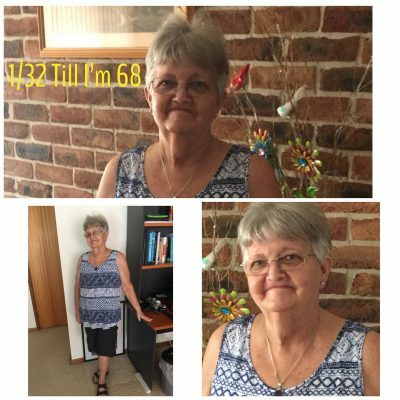 I found this week, setting myself an ‘outfit a day’ challenge till I turn 68 has been quite an ice-breaker over on the FB page which is part of this blog. I was not using that page as a community-building tool until this week. I paid $7 each to boost 2 posts over there and that is as much as I am prepared to go but it lifted the posts so we shall see. I am wanting to offer guest posts to some of the bloggers who are part of the #lovinlife linky and have already approached a couple. I’m in awe about the 3. I have 2 but one I only update once a month. Takes a whole lot of pressure off. Go you! And didn’t you meet all the blogging stars! 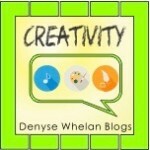 I am in awe of your blogging journey, Denyse. I don’t have any suggestions with regards to what you could write about because I really enjoy that you already write about what you’re passionate about with such honesty and energy. I broaden my knowledge of the world and life with your posts. Hi Denyse, I’m in Canada. I found your blog via the Lovin’ Life link-up. I’m not a baby boomer but I read blogs authored by bloggers of different age groups. I think you’re on the right track to increase your baby boomer readership. My suggestion is to contribute your comments where suitable to more new-to-you blogs, and make new connections. If you search for “retirement” blogs, there should be some that you can review, and decide to join in the comments or not. I hope this helps. Thanks so much for your helpful comments. I probably won’t change what I do write about much at all as I write on a variety of topics anyway. What I was and maybe still hope for is to have some on-line (via comments or my facebook page) with people over 60 too. In no way am I being ageist here but I know there is quite a scarcity of people well over 65 with social media interest and I accept that too. I do appear to be one of the exceptions and happily so. I liked that many of my commenters here (who blog regularly and link up on my Monday linky) seem to think that what I have to say is interesting and informative for them. That pleases me greatly. 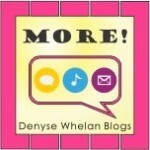 Hi Denyse – I never really think about how old my fellow bloggers are. The ones I connect with and comment on all seem to be in their 50s and 60s. Maybe you are one of the oldest, I’m not sure, but my theory with blogging is to write about what you love and the people who want to read it will keep coming back. I agree with Kathy about keeping it cross generational because we can always learn from each other. That’s interesting too Leanne. You see for me (starting the blog in my early 60s) I have always been ‘on the outer’ of the ages and interests of the bloggers I have been following since 2010. So, in a way this attempt at seeing if there is any interest in people around my age interacting and connecting here was to find that out. There are no real answers and I accept that. I love to connect with all of the people I ‘meet’ on line but I was hopeful that there might have been some shared interests and issues from those over 65. I will continue to do what I do here anyway and see what comes of some ideas to guest post and perhaps to read more of other bloggers’ blogs! Thank YOU for so many good and wonderful ideas for me. I am going to take my time to consider what I want to put my energies and time towards. In 2013 I actually did a workshop for Seniors called “Tech-Savvy Seniors” at the local neighbourhood centre. I got 4 participants. However, what was gratifying was that at least one had a better idea of how to use FB. BUT, here’s the rub, this was at my loss (I had to pay for the venue and I did charge a nominal fee) and in around 4 months after that the government offered free courses using exactly that title. I am already considering some title for quest posts I could offer on blogs. Right now, I am going to leave the notion of a FB group alone as I have found that will take up loads of my time and reserves. BUT, in the saying “never say never” I will leave it there as a plan. Thank you so much for generously giving my blogging some thought this week. I know it’s a huge week for you and to take this time is so kind. Maybe that should be your angle and you should try sending a press release to your local paper/s or radio station – or go national – about being the “oldest blogger in Australia”. Put the challenge out there and the other Baby Boomer bloggers might just come out of the woodwork! I think it’s awesome that you have decided your niche. I know that I rarely read My Home Truths anymore because Kirsty is now aiming it squarely at special needs parents and I’m not one, but from what I can see she is really developing a voice and an audience. You could maybe volunteer at your local seniors centre or COTA branch to lead a workshop on blogging to help others in your age group discover the joys of connecting online! Thanks Janet for your very helpful and creative response. I actually don’t want to pigeonhole myself as a blogger either. I know, what do I want?? I guess I am looking to have more people perhaps engage here. I still love being a blogger who can use my experience in education to help families, use my mental and physical health experiences and to write about life. I will consider some of your ideas too as like Leanne’s they have opened up my view!! What I do not want to do much more of is make too much new work for myself as I am in the recovery phase of cancer and still have more surgeries to come. However, my brain is ticking away with suggestions and I have some ideas to offer guest posts to other bloggers. Many thanks for your help. Always appreciate seeing your comments here!